Lefty needs a war, because you cannot protest against prosperity. Ya, you just said that. Thank you. I am clever. I wasn't calling you clever. Mohammad Reza Pahlavi, who was overthrown in 1979. Your pravda journalists should make up their minds. I thought he was going to invade Venezuela? Comrade RCW simply posts what his handlers from the mother land tell him to post. Can't answer the question, eh? Cant follow a thread eh? It was you that brought Venezuela into my OP concerning Iran. Duh! Are you really this dense? Let me dumb it down for you. You need a war, because you cannot protest against prosperity. 2. Lefty needs a war, because you cannot protest against prosperity. 14. Ya, you just said that. You thought it was so clever that you had to make sure people saw it. 15. Thank you. I am clever. 19. I wasn't calling you clever. I remember back when W said he was determined to not leave Iran as a problem for the next Administration to deal with. I was hopeful then they would be taken out. We all remember how that turned out. Compared to their Arab neighbors, they have a long history of being a rather civilized culture. Islam has destroyed them and they deserve far better government than they have. 16. Mohammad Reza Pahlavi, who was overthrown in 1979. The Iranian Embassy siege took place from 30 April to 5 May 1980. The hostage-takers were members of the Democratic Revolutionary Front for the Liberation of Arabistan (DRFLA), Iranian Arabs protesting for the establishment of an autonomous Arab state in the southern region of the Iranian province of Khūzestān which is home to an Arabic-speaking minority. It was Arabs attacking Persians, both were Iranian nationals. Who overthrew the Iranian government? The UK and the US forced a dictator on the Iranian people. How did the Shah remain in power? Mohammad Reza Shah with the help of the U.S. Central Intelligence Agency ... SAVAK operated from 1957 until the Iranian Revolution of 1979, ... SAVAK has been described as Iran's "most hated and feared institution" prior to the revolution of 1979 because of its practice of torturing and executing opponents of the Pahlavi regime. After Shah Pahlavi was overthrown, he was admitted to the U.S. for cancer treatment. Iran demanded his return in order to stand trial for crimes that he was accused of committing during his reign. Specifically, he was accused of committing crimes against Iranian citizens with the help of his secret police. Iran's demands were rejected by the United States, and Iran saw the decision to grant him asylum as American complicity in those atrocities. The Organization of Iranian People's Fedai Guerrillas stormed the U.S. Embassy in Tehran and took a Marine named Kenneth Kraus hostage. Ambassador William Sullivan surrendered the embassy to save lives, and with the assistance of Iranian Foreign Minister Ebrahim Yazdi, returned the embassy to U.S. hands within three hours. Kraus was injured in the attack, kidnapped by the militants, tortured, tried, and convicted of murder. He was to be executed, but President Carter and Sullivan secured his release within six days. This incident became known as the Valentine's Day Open House. February to November 1979 and nobody thought to add more guards, shut down the Embassy, reduce the staff to a minimum with additional security? Did they not notice the demonstrations everyday? The People's Mojahedin Organization of Iran or the Mojahedin-e Khalq , abbreviated MEK, is an Iranian political–militant organization based on Islamic and Socialist ideology and advocates overthrowing the Islamic Republic of Iran leadership and installing its own government. It was the "first Iranian organization to develop systematically a modern revolutionary interpretation of Islam – an interpretation that deferred sharply from both the old conservative Islam of the traditional clergy and the new populist version formulated in the 1970s by Ayatollah Khomeini and his government.
" The MEK is considered the Islamic Republic of Iran's biggest and most active political opposition group. 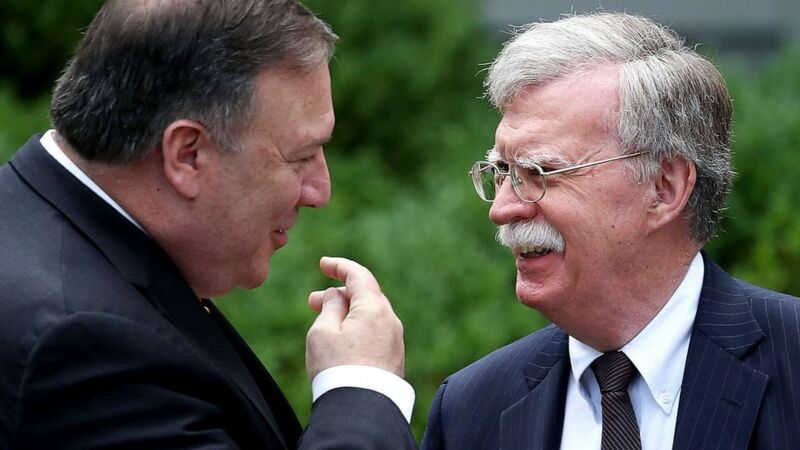 The Department of State’s report claims the MEK's armed conflicts took place in the early 1970s, after June 1981, the latter part of the 1980s, and the latter part of the 1990s until 2001, targeting the state (Iranian regime officials), security forces, and state-owned buildings.". The MEK was the first group carrying out suicide attacks in Iran. According to Hamid Reza, more than 16,000 people have been killed in attacks by the MEK since 1979. From 26 August 1981 to December 1982, it orchestrated 336 attacks. On 28 September 2012 the U.S. State Department formally removed MEK from its official list of terrorist organizations, Secretary of State Clinton said in a statement that the decision was made because the MEK had renounced violence and had cooperated in closing their Iraqi paramilitary base. The MEK's been killing people for 30 years doing their Islamic counter-revolution with the help of the US and the UK intel services and supporters in State Departments. Along with the Saudi and Israeli supporters. The same MEK Bolton and the neocons are in bed with. 6. Your pravda journalists should make up their minds. one week hes' a wuss, the next he is plotting war! Kim pulls the wool over his eyes, then he is going to cause nuclear war with NOKO! Maybe it is something in their coffee! 7. I thought he was going to invade Venezuela? Out of curiosity, do you keep track of the number of invasions you predict that do not come true? 10. Comrade RCW simply posts what his handlers from the mother land tell him to post. after these 2 years and how much Mexico hasn't paid for that wall??? Or was this the dumbest attempt at a non-sequitur on this board? Just when I think you cannot make any more of a joke out of yourself. 21. Can't answer the question, eh? 22. Cant follow a thread eh? 24. It was you that brought Venezuela into my OP concerning Iran. Duh! 25. Are you really this dense? Let me dumb it down for you. Your OP was about potential US military action in Iran. You recently posted that there was potential US military action in Venezuela. The relation between the two is the hand wringing about potential US military action. Let me know if you need this broken down any further. Perhaps a Venn diagram? Just a head's up. When you post in the next week or two about more potential US military action I will bring up your past record again. This foreknowledge will hopefully aid you in your recognition of the theme of the conversation.